Architectural salvage can be a godsend when it comes to fixing up an old house. The hard to find pieces and parts that no one makes anymore are all there in bins of old hardware, piles of old moldings, or stacks of old doors. 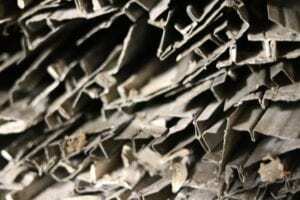 A good architectural salvage yard contains a wealth of history, even if they never seem to be particularly organized. The pieces may be hard to find amongst all the piles, but there is architectural gold hiding in there if you are willing to look. While most contractors spend their afternoons at the lumber yard or Home Depot, I tend to find myself at my local architectural salvage yards just as often to find what I’m looking for. 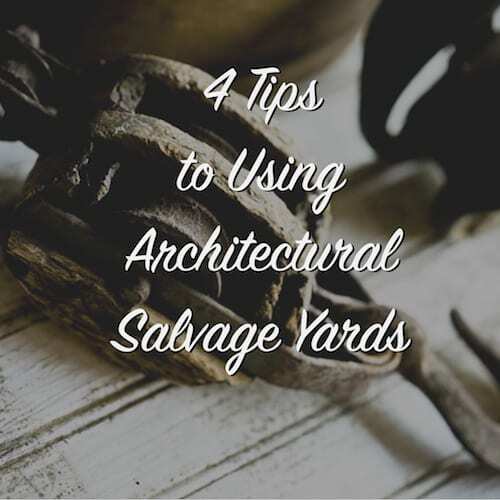 It is easy to lose hours wandering around at your local salvage yard, so I wanted to give you a few tips for how to find what you are looking for quickly, as well as some ideas on how to use these places as great inspiration for your next project. An architectural salvage yard is not like your typical supply store. They have a greater variety of items that are constantly changing and available in irregular quantities. Maybe you need 12 feet of crown molding in a pattern that you can’t seem to find anywhere. The best way to find a matching piece is to pull a portion down and bring it with you. It may seem like extra work, but having the actual part you need on hand helps immensely. Sizes were not standardized for most architectural elements on old houses and a difference of just a 1/2″ can make what would otherwise be a good fit into the wrong piece for your project. Hardware is another good example where having a sample of the specific item can change everything. Doorknobs have different thread patterns that may not fit all doorknobs. Mortise locks have different backsets and thicknesses that may not be clear to you until you hold it up to the options that you find at your local architectural salvage store. If you can’t bring a sample of what you need, then having a picture and as many specific measurements is a close second. Measure everything you can possibly think of on the item you are hoping to replicate, so that you’ll be prepared when browsing at the store. 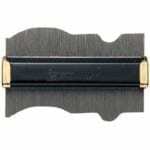 There are also inexpensive Contour Gauges you can use to help you match a molding profile. This will allow you to check molding profiles to ensure that they match without pulling the molding off of the wall. You went on treasure hunts as a kid, right? Me too, and while they were a blast, I don’t have time to be sorting through hundreds of sash locks for half of a day to find the one piece I need. You might have the one architectural salvage yard where everything is neatly organized, but in my experience, they look about as clean as a 5-year old’s bedroom. How can you ever find what you need? Ask! There are always a few employees who can help point you in the right direction, which can helpful, but if you really want to find your object with laser focus, then you have the find the big boss. There is almost always at least one person at every salvage yard who knows exactly where even the most minute item is. Usually it’s the owner, because they are the one who went picking four years ago and grabbed that one door you are looking for and remembers where he put let it half a decade ago to gather dust until you showed up. The inventory is largely kept in the head of one very committed person who knows and loves this salvage business more than life itself, and they are the ones to ask for help. Another plus of asking is that you can often hear the story behind the item. Where did it come from? How old is it? What was it originally used for? This is some of the best stuff to me! You know that the stuff in an architectural salvage yard isn’t organized into 8 footer, and 16 footers. They’ve got whatever they could rip out of a building before the wrecking ball chased them away. Again, whether it’s hardware or moldings, you never know what dimensions you’ll find. So, when you take the trip to the store, bring your tape measure with you. You’re not just going to check the length and width of boards, but also the thickness. Thickness of most wood products has varied greatly across the country and the years. 2 x 4’s use to be 2 x 4 rather than the 1 1/2 x 3 1/2 they are today. Most wood products were thicker in the old days, so you’ve got to make sure what you’ve got matches. You could also bring a Thickness Gauge if you are looking for something super specific. That tape measure will be immensely helpful because while that awesome gem you just found might look like just the right size in this huge salvage shop, it can be deceptive. Items have a tendency to look smaller in large rooms and large in small rooms, so don’t be fooled by the appearance of what you see in the store. That 60″ sink might look just right, but it will never fit in the 36″ opening you have at home. Measure the dimensions of the area you are looking to find something for before leaving home and write them down so that you have a guide when you’re at the store. Often, you might find something similar to what you are looking for that isn’t exactly the right thing. Don’t immediately discount it. You’ll have to think a little outside of the box on this one, but if you are handy or creative in the slightest, you can usually find a way to make that “almost right” item become your “just right” item with a few changes. Doors are the easiest example. If you’re looking for a custom sized door, then really anything slightly larger that you can trim down will work. You can also do things like pad out the jamb slightly to accommodate a door that is only 1/2″ too small, but would otherwise be a great fit. Think creatively about what changes you would have to make and if they are feasible before you dismiss an item that might be a good fit. Often, when it comes to architectural salvage, close enough is something that will allow you to take it the last 10% to the finish line. Sometimes when I am devoid of inspiration for my next project, I’ll swing by my local salvage yard and just wander around looking at some of the more interesting and unusual items they have, while thinking about ways to incorporate them into a cool new project. It really gets my creative juices flowing and get me out of the day to day drudgery. All those creative ideas on Pinterest came from someone thinking creatively and repurposing something old into something new. Sometimes it’s simply using salvage pieces as decoration and sometimes it’s about turning theming into something completely new, like building a table out of a window sash. 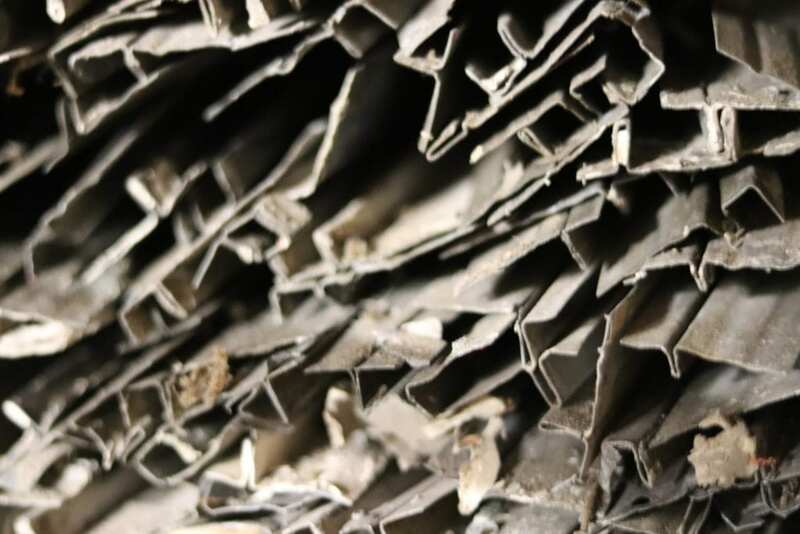 Open up your eyes and your mind to the thousands of square feet of possibilities contained in your local architectural salvage. Check out a couple earlier posts for some clever project ideas that you can make with salvage below. Hopefully this post will make your next trip to a salvage yard more productive. Use these tips and you’ll save time, money, and trouble the next time you are looking for that new old piece! What’s been your best find at the salvage yard? I’d love to hear about it ion the comments below! I had such a wonderful architectural salvage place near me in my last home that I got spoiled, and thought I’d be able to find something similar wherever I moved. Wrong! Sigh. If you have a good one nearby, treasure it. If not, be prepared to drive several hours–it’s worth it!